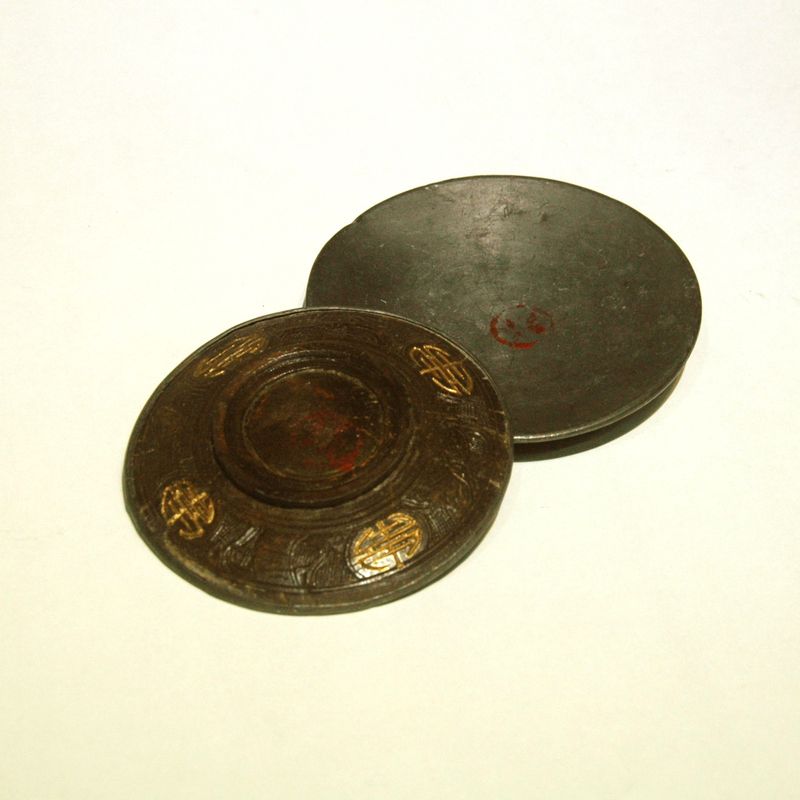 This is a pair of lids made with coconut shell and inlay with pewter, they would have been matched with a coconut shell cups but unfortunately the cups are not absent. Coconut as a material for tea ware has been used since the Ming dynasty, mainly as an exotic gift to the imperial court from the Hai Nam area. See also our previous post of the Coconut Teapot.